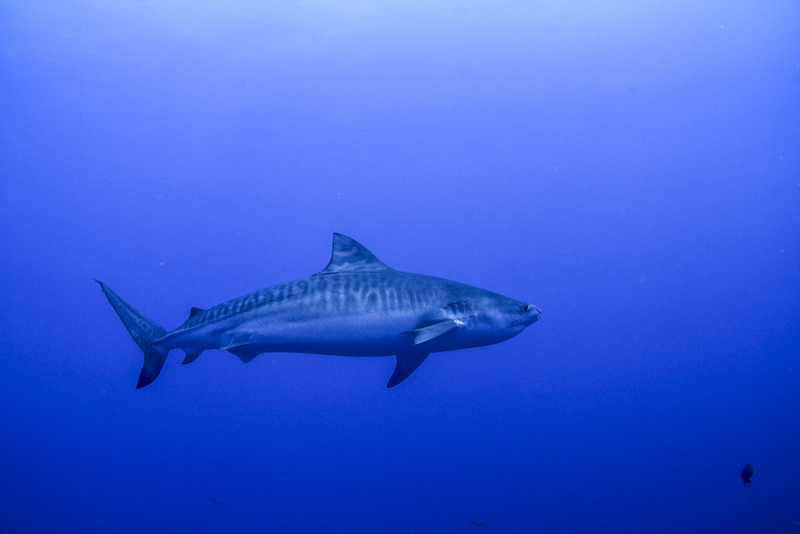 It’s so absolutely wonderful to be back shark diving at Guadalupe Island. The first day was awesome! I was in the cages right when they opened and the sharks and crew did not disappoint. Throughout the day we saw, from what I observed, five different sharks, both female and male. We saw one huge female (we think around 18ft) swimming around the submersible cage in the late morning. 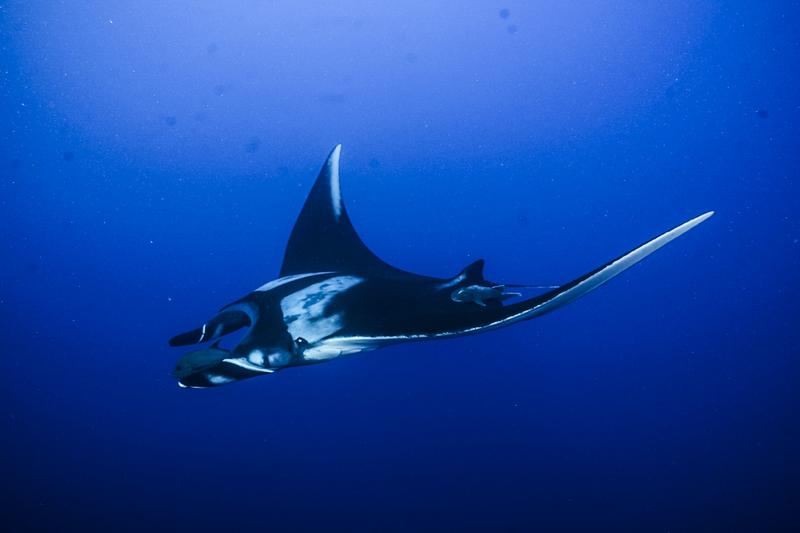 Towards the late afternoon, we kept all the cages at the surface and had some really awesome close passes. I’m hoping that the sun comes out today, but other than that the trip has been amazing so far! The crew is phenomenal and everyone is SUPER personable! The food has been fantastic, especially Taco Night! It’s 5:30 am on Day 2 of shark diving and it’s time to get ready to observe these beautiful animals again! Thanks for everything so far! Day 2 was another amazing day here at Guadalupe Island. We had so much shark action thanks to our fantastic wranglers! I went down in the submersible cage in the late morning and we had four sharks, maybe five, swimming around at once. Three males and one female at least. My head was on a crazy swivel to keep up with all the action around me. We kept the cages at the surface for most of the day and had two to three sharks swimming around the boat the majority of the time. The final count for individual sharks was 11! A few new ones joined us right at the end of the day before the cages closed. The sun came out in the afternoon and made the natural lighting in the ocean so beautiful for photography. I love watching these animals in their natural habitat and I’m so sad that we only have one more day of cage time. Here’s hoping it’s the best day of the trip! Our last day of shark diving was just spectacular! We had the first shark show up the fastest out of all our dive days just 9 minutes after the cages opened!! We had incredible action the whole day and at the peak we had seven sharks swimming around the cages at once. The last hour of the day was by far the best action. There were sharks all over the place it was hard to figure out where to look. The most incredible thing was that we got to see both adult and juvenile sharks in action. It was so interesting to watch the behaviours of all the sharks. The juveniles were my favourite to watch because they were so fast and so much more unpredictable than the adult males and females. It’s always hard to say goodbye to these beautiful, majestic animals, but it was wonderful to be able to see them with my own eyes again so soon. My trip last year blew me out of the water and I’m so grateful that I was able to come out on another trip this year to enjoy this amazing experience all over again. All of the crew members of the Nautilus UnderSea are absolutely incredible! From sunrise to sunset and thereafter they made me feel so at home on this beautiful boat. They were always going out of their way and above and beyond to make sure that our experience was absolutely top notch. Especially as a vegan, as the chef and staff were so willing to accommodate my dietary needs. This trip is just out of this world in every way and I can’t wait to come back. I hope to come on the Socorro trip in the next few years as well. THANK YOU SO MUCH FOR ANOTHER AMAZING ADVENTURE, NAUTILUS LIVEABOARDS!! !